A great practice starts with a great leader, and ours is Dr. Leandra Dopazo. She graduated at the top of her class when earning her dental degree and earned her master’s degree and certificate in orthodontics from the University of Florida. 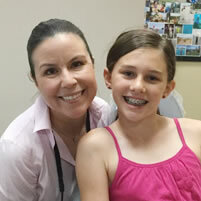 She has practiced orthodontics for nearly two decades and has been a dedicated Jacksonville orthodontist since 2011. Here at Dopazo Orthodontics, we have worked hard to become recognized as one of the best Jacksonville orthodontic offices. 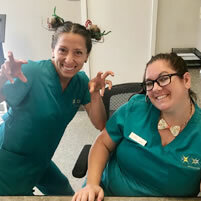 Dr. Leandra Dopazo and our team are especially interested in making all our patients feel right at home! We put your needs first, to achieve efficient and comprehensive treatment in a supportive and nurturing environment. With services that include braces for all ages, Invisalign® aligners for adults and teens, and Damon™ Smile self-ligating braces, you’ll achieve your new smile faster and easier than you may have thought possible. 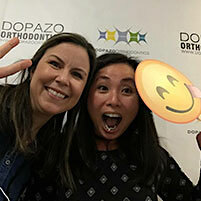 When you choose Dopazo Orthodontics, you are welcomed into our family. Our care is personalized to meet your needs and our practice designed to give you comfort. Come see why our practice, our doctor, and our treatments have earned such a great reputation! Schedule a complimentary initial consultation at our Jacksonville orthodontic office today! “Dr. Dopazo and her team were amazing throughout my entire process. From the moment I had my consultation until the day I got my braces taken off, I felt like a priority. She was very attentive to my vision as it related to the progress of my teeth. I absolutely love my new smile!” ~ Latasha G. “Dopazo Orthodontics will EXCEED your expectations. It is a great family atmosphere. With every visit there, is something new and exciting for the kids. Thank you Dr. Dopazo, for my son’s amazing SMILE!” ~ Reyes Family “Best orthodontist and staff! We love Dr. Dopazo, her beautiful and state-of-the-art office, and friendliest staff. All around SMILES!” ~ Paola H.